Learning how to grow zucchini, one of most productive garden vegetables, is easy. The hardest part of growing zucchinis is eating all the fruit :P.
In fact, you may need to be creative with all the wonderful fruits they produce, as each plant could provide you with more than 10 pounds. And if you leave them growing while you take your summer vacation, you might come home to huge zucchinis in your garden. Never fear, you can still use the over-sized zucchinis in breads, as fritters, and in soups and salads. Zucchini plants (or courgettes as they are known in Europe) are very prolific and high yielding. Because of this they need a highly fertile soil. They also prefer a well-drained bed so it is important that you dig some organic matter into the soil. 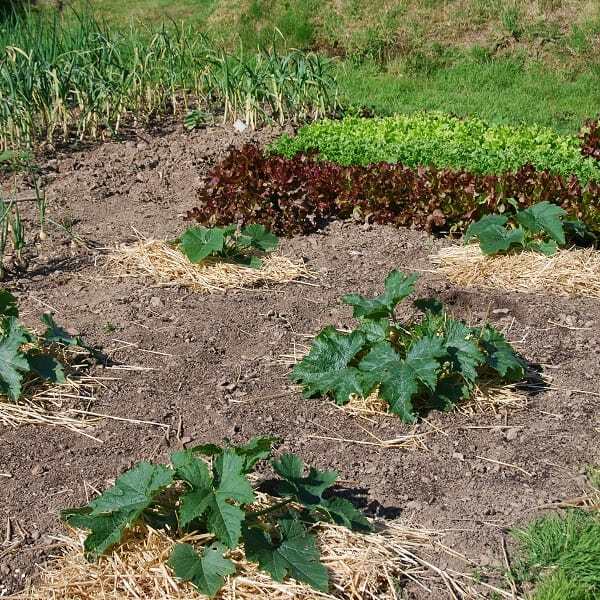 To create the perfect courgette bed, dig a bit of well-rotted manure into the soil, either during the fall prior to planting, or in late winter. In addition, just before planting, dress the bed with plenty of garden compost. It is also a good idea to add a little fish, blood and bone fertilizer. 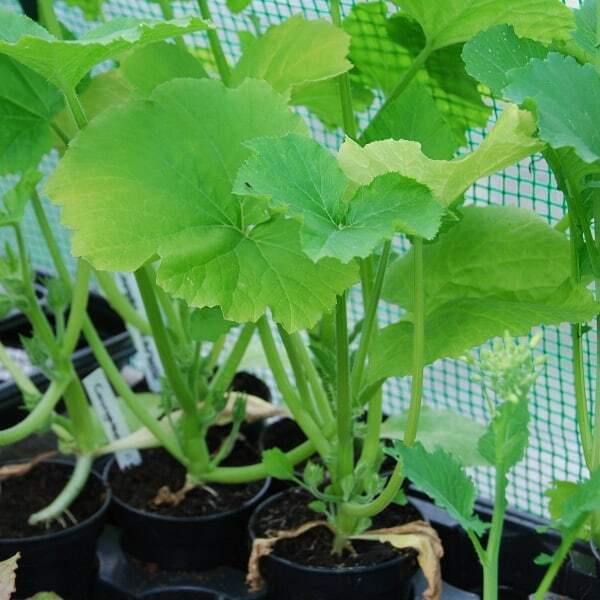 Sow zucchini indoors or in a greenhouse at the end of April, beginning of May. Use general all-purpose compost in a pot about 6-8 inches, sowing the seed about 1½ inches deep. Zucchini seeds rarely fail, so use one seed per pot. We recommend that you sow the seed lying on a side edge, rather than laying them flat. This will stop the zucchini seeds from rotting in the wet compost. Once the seedlings have grown to a healthy size, transplant them to their final growing place. Space each plant about three feet from each other. Mulch each plant with straw. It helps to retain moisture in the soil and stops weeds from growing. Once the zucchini plants start producing, it is recommended that you feed them every week with liquid tomato food. Feeding the zucchini helps them maintain their crop production. The most difficult decision to make in how to grow zucchini is how many plants you will need. We love zucchini and since they are such a versatile vegetable, we grow plenty. The fruit can be frozen or canned, as well as eaten fresh, either cooked or raw. By the time the season ends, we have bags of frozen zucchinis, a range of zucchini soups, and some ratatouille. To give you an idea of how many plants you will need, each plant will produce around 30 zucchinis. When we make a ratatouille for four, we use two or three small-to-medium sized ones. Therefore, unless you love zucchinis, I suggest that you start with three plants and see if you can use them all. Who knows? Next year you might like to grow 10 plants like we do ;). If you lack space, growing zucchini in a pot can work well for you. Just make sure you use the largest pot you can in your space, and don’t plant more than 2 plants per pot. Here’s how to plant your zucchini in a container: I LOVE how he uses sand to maintain moisture. Very smart! Can you grow zucchini on a trellis or vertically? Another way to grow zucchini in a small space is to train it up a trellis. All you need to do is train the zucchini plant up your trellis or stake, and tie it up with some natural jute twine (this is the one I use) . 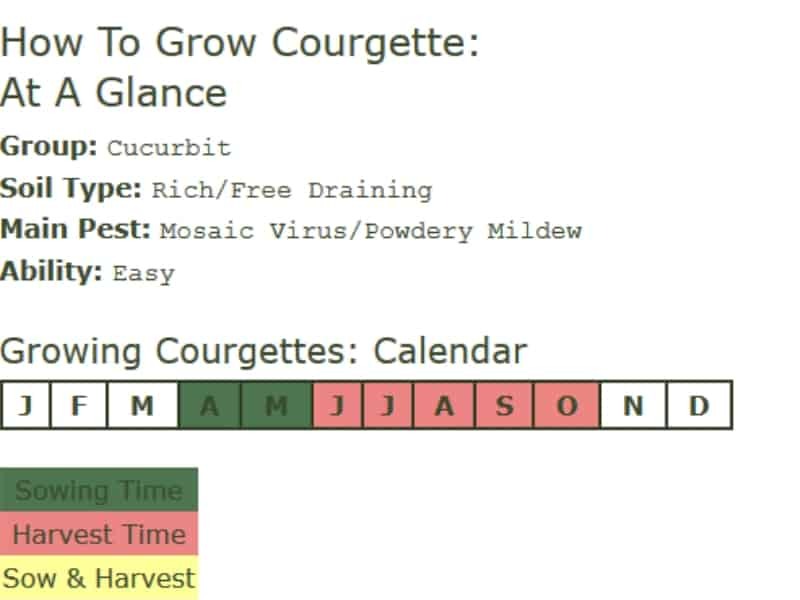 If you’re a visual learner, like I am, this video will show you everything you need to grow zucchini and squash vertically. You might wonder if you could grow zucchini indoors. It’s possible if you have the right conditions. This plant loves full sun, so you’ll need a sunny room. Growing zucchini indoors would be a great way to prolong your zucchini’s productivity. Just bring your potted plant indoors and enjoy the extra fruit. As with most vegetable plants, slugs can be a problem. Straw mulch and a few beer traps will keep slug problems to a minimum. You can also add some crushed egg shells around the plants. 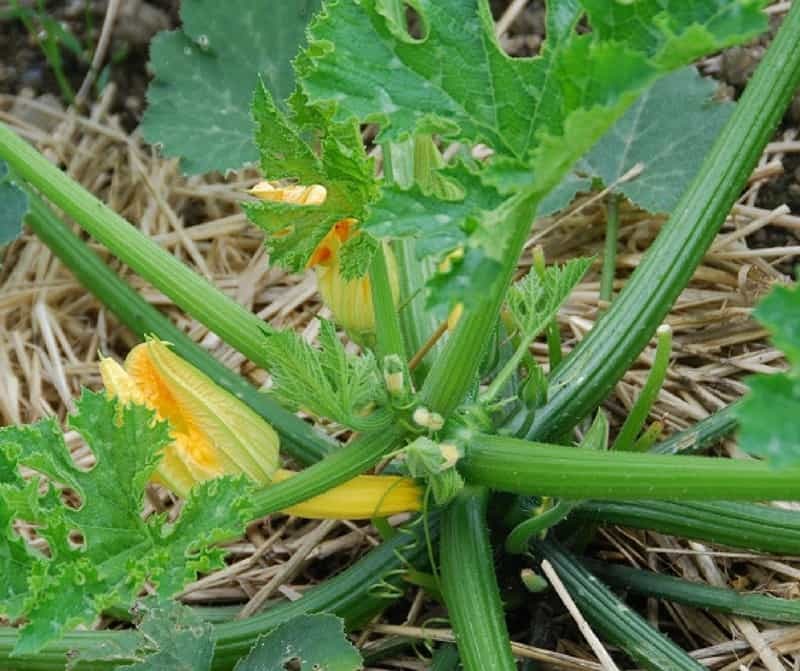 This virus can affect zucchini plants. The virus causes courgette leaves to have a yellow mottling and sometimes be distorted or stunted. There is no control for this virus. However, as it is transmitted by aphids, an effective control of greenfly and black fly can help to control the virus. It would also be a good idea to dispose of infected plants, washing your hands before handling any other plants. 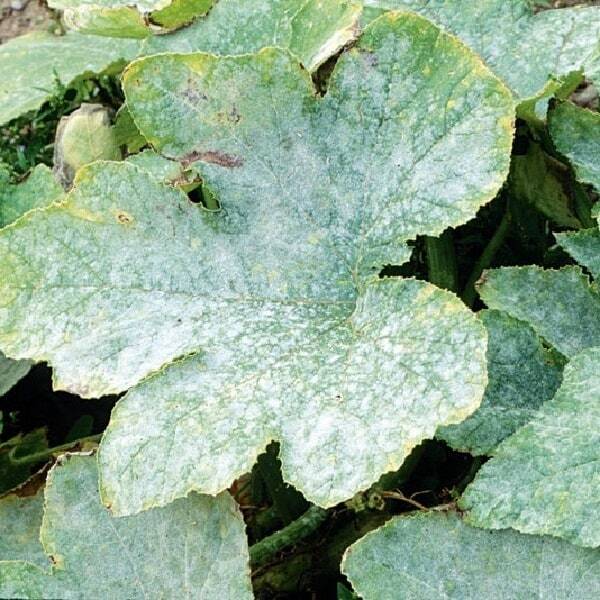 Another problem that is perhaps more common in zucchini plants is powdery mildew. This is a fungal infection that coats the leaves with a white powdery substance. Powdery mildew is often said to be associated with lack of water, or water stress. However, this fungus has an unusually high water content itself, which gives it the ability to establish in very dry conditions. This ability is unusual for a fungus, so it may be possible that the association with dry conditions is a bit misleading. There is a milk treatment for powdery mildew that works as a preventive rather than a cure. Diluted milk with water, making a spray with about 25% milk. Spray this diluted milk on the plants every other week. This won’t cure the plant, but if you remove infected leaves and spray new and emerging leaves, then you should stop the mildew from spreading. Collecting zucchini is easy. When the zucchini is the size you like, simply cut the fruit from the plant. As with other vegetables, the more you pick, the more the plant will produce. Zucchinis are extremely versatile. When you have a glut of these vegetables, there are many ways you can use them. If you are anything like us and can’t wait to start eating your own home grown vegetables, you will enjoy your early season zucchinis. They will probably be the smallest you will pick all year. Small squash are perfect for grilling or serving with a salad, dressed with olive oil, sea salt and black pepper. In fact, most sizes of zucchinis are perfect for salads. Pick larger fruits and slice them lengthwise, pan fry and cool them, then mix with any salad. This preparation also works well with pasta, and tomato or pesto sauce. If your zucchini get a bit too big, you can slice them and use them as pasta “noodles” to make lasagna. Or cook them down with onions to make all sorts of soups. We use them sliced or diced in soups. Gigantic ones, those that hide and sneakily get bigger and bigger, are wonderful grated and made into zucchini bread or fritters. 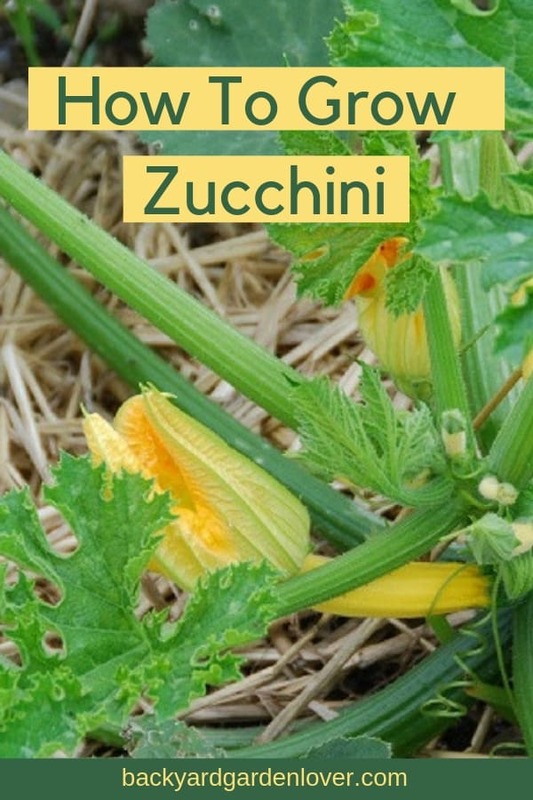 Zucchinis can be used in tarts and quiches, in baking, for pickling or chutneys, stir fries, frittatas and pizzas. Or stuff your courgettes and bake them. The flowers can even be battered and fried (but then you won’t get anymore squash). You can also freeze zucchinis, although the extra water content can make them a bit soggy when defrosted. Because of this, don’t use water to blanch them. Instead, lightly sauté them. When cool and tray them in a single layer to freeze. You can use these frozen zucchinis straight from the freezer as and when they are needed. What Will I Do with All Those Courgettes? by Elaine Borish may give you additional ideas. It has some fantastic reviews! Of course, you can also share your abundance and create a better world. Donate your extra zucchinis to the local food pantry or give them to your friends and neighbors. Excellent ideas! I didn’t know you could continue to grow your potted zucchinis indoors to prolong the season. Brilliant.